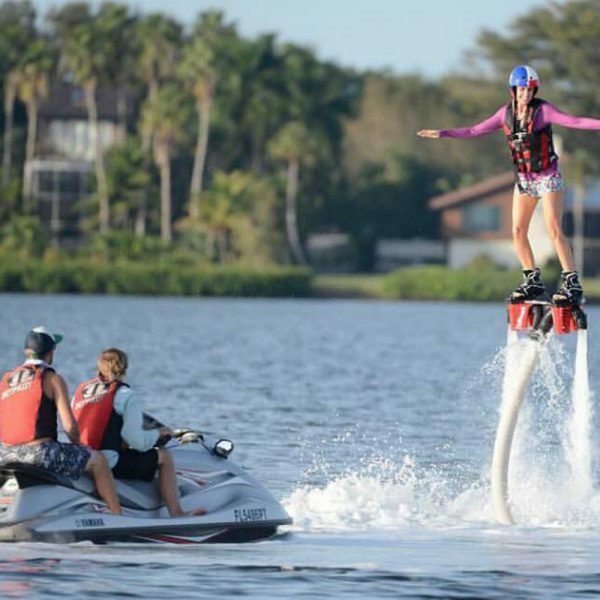 TOP GUN Flyboards is your premier spot to try the new amazing water sport of Flyboarding! Learn to harness the power of flight in just minutes with the #1 Flyboarding company in the Tampa Bay area. Offering personal flyboarding lessons, group lessons and all day sessions, TOP GUN Flyboards is the perfect place for private parties and all day family fun at the beach! !Easy to learn and hard to quit. Our Certified Flyboard Instructor will teach you the basics of flyboarding while keeping you safe. TOP GUN Flyboards takes pride in our customer service, we guarantee you the best flyboarding experience from start to finish. Private groups can book a 1/2 day or full day on our other listings.